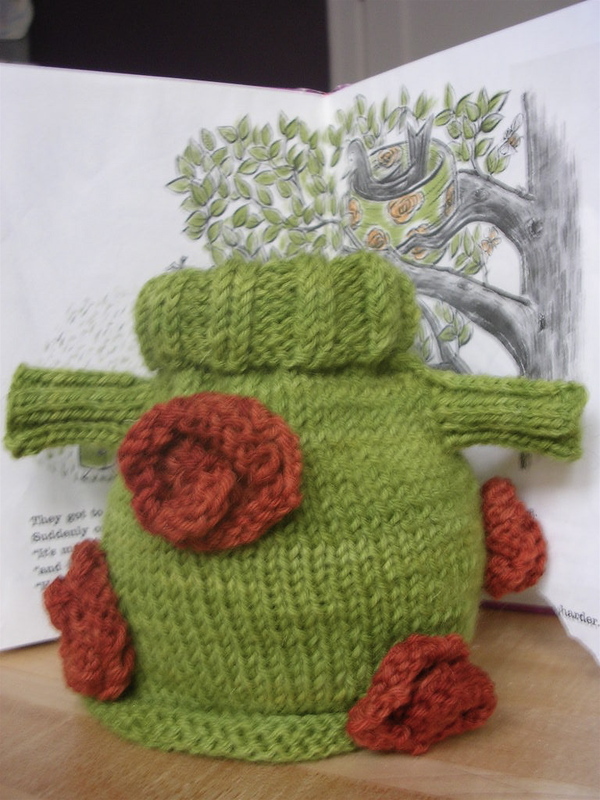 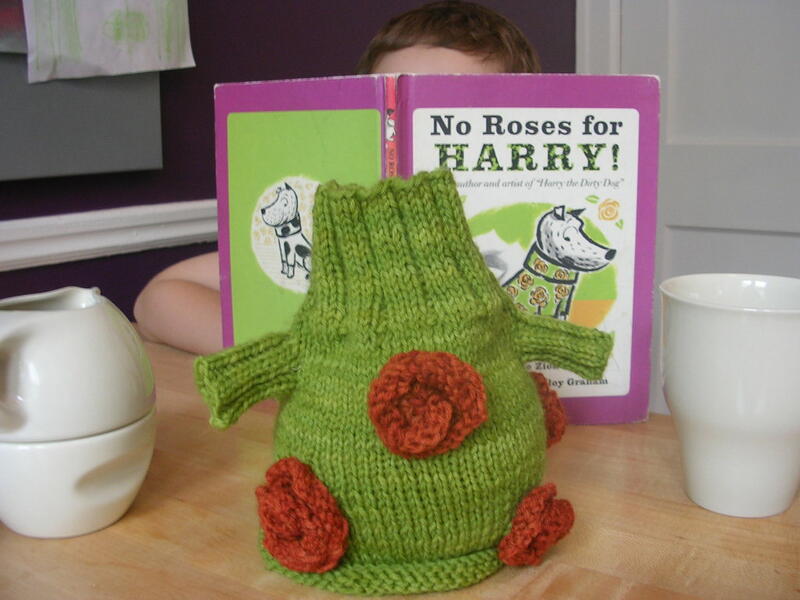 My friend Ann Hahn Buechner dreamed up and knit this rosy cosy (in Nature Wool, I think). It definitely gets days going in the right direction. 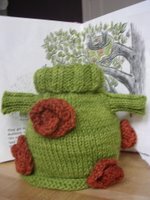 She starts these in the round from the top, splits the knitting to back and forth down the back and picks up stitches on one side of the split for a clever flap that goes through the handle and attaches to the other side with a velcro dot.